The Fine Arts Student Alliance is currently working with Concordia’s Office of Student Relations to refund fees that were levied from Fine Arts students for the recently-closed Café X. “The café was unaware that they would be receiving more money in the second semester, and believed that all funds were levied in the fall semester,” FASA said in a statement to The Link. “With all the stress that has accumulated for the people that are responsible for closing the café, the return of these fees might take a few weeks, but we will be working towards reimbursing the students. We are all doing our best to make this happen,” the statement continued. The café had received a fee-levy increase in March 2017 in hopes that it would keep the café open. It rose from 11 cents per credit for Fine Arts students to 35 cents per credit. The café announced the closure of its EV location in early January this year, after having closed its original VA location in October 2017. The café had been around since 1983 and had faced years of financial struggle. “It is important to me, and the FASA team, that we continue to look out for the best interest of Fine Arts students. 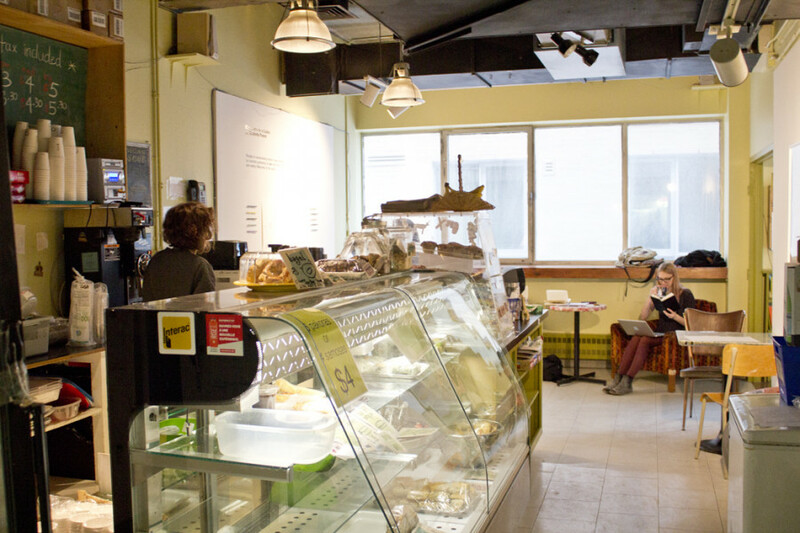 Because Café X was a fee-levy organization, we supported the past managers’ decisions to close all locations, as it was no longer a sustainable business,” FASA General Coordinator Cleopatra Boudreau said in an email. In January 2016, FASA bailed out the café by providing a $12,000 grant to get out of debt. Boudreau added that FASA was not directly involved with managing the café, and that it became clear to them that there was nothing more they could do to mend Cafe X’s long-term financial issues. Former café managers Mayala Elter and Noam Barsheshat were unavailable for comment. “To just keep throwing money at a problem without changing the fundamental reasons why it’s failing isn’t going to help it,” FASA Adjunct to the Coordinators Jeremy Blinkhorn told The Link in October, explaining why the café was not bailed out again. Blinkhorn said that the price of food was not properly indexed to inflation, and had not been high enough to make a profit. In an effort to save the café, managers were forced to raise prices in recent years, and this may have upset some students. “Over the years the café began to notice a significant decrease in volume and could only raise prices so much while continuing to accommodate student budgets,” Blinkhorn wrote in an e-mail to The Link. Over the summer, Blinkhorn worked with café managers to determine which menu items were successful and what would generate a profit. He also helped the managers to fix the prices of items to fit the profit margins. Boudreau added that because there was such a high turnover in management staff, a lack of communication led to further financial issues for the café. When former employee Nick Trudel started working at Café X three semesters ago, he was under the impression that the café’s days of financial turmoil were coming to an end, and that they had found solutions for the business to keep running. It did not take long for him to realize that he was mistaken. Last September, he was confused by some of the decisions the managers made. Having to cancel some of the food they used to receive from their suppliers because of high prices, the café was predominantly selling baked goods and salads, something that Trudel feels turned away some of their old customers. “Obviously business is declining cause we’re not selling anything,” Trudel said. He pointed out that people who would come every day last year didn’t come anymore because they didn’t have enough menu options. He said he and other employees felt the business should work. “It’s a cornered market, everybody in the VA building needs to get food,” he said. According to Blinkhorn, however, the VA building has been steadily losing foot traffic over the years—both in the café and the building. With more food options available nearby and more students bringing in food from home, he said the café had lost the majority of its business that way. Trudel was laid off over the phone during the holiday break. Towards the end of December, he received a phone call informing him that the café would not reopen this semester. He said that when the VA location was closed, the café lost nearly half its staff. According to Blinkhorn, when the first location was closed, the managers first asked if there were any volunteers to be laid off, and then selected the rest by seniority. “They felt like that was the most fair way to move forward because it was new managers that can’t really evaluate the workers,” Blinkhorn said. Trudel added that the café acted as an important meeting space for Fine Arts students in the building, where they could do their work and chat.